Benjamin was a French marque, founded in 1921 by Maurice Jeanson. The company built light cars until 1926. After that they were known as Benova. Benova was gone after 1931. This car is from the second year of Benjamin manufacture. It uses a 750cc straight-four. It has an interesting history – being driven in the 1922 Bol d’Or by Violette Morris – a renowned French athlete of the 1910s and 20s and Nazi collaborator who was killed by the French resistance during the war. This car didn’t leave France until the 1980s, when it was imported into the U.K. It hasn’t been restored as much as “refurbished” as needed. This car has taken part in many classic car events in the U.K. and France and appeared in numerous articles. It was even owned by the V.P. of the Vintage Sports Car Club of the U.K. You don’t see Benjamin’s everyday – but you could see this one everyday for between $14,000-$22,000. Click here for more info and here for more from Bonhams in Oxford. 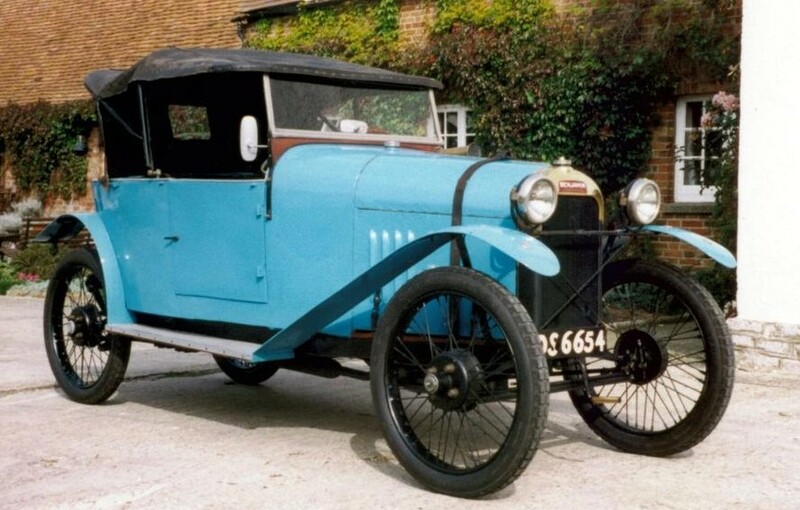 This entry was posted in Uncategorized and tagged 1922, auctions, benjamin, Bonhams, cars, classic cars, cyclecar, type b by ClassicCarWeekly. Bookmark the permalink.